I’ve always loved entertaining and when it’s for a cause that is close to my heart, it’s even more special. For the second year in a row I’ve turned entertaining into fundraising by hosting my very own party for the KitchenAid Cook for the Cure. I ask my guests to bring a small contribution that will be donated to the program. 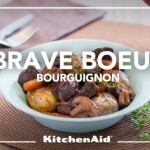 If you’re not familiar with the KitchenAid Cook for the Cure, it is a national fundraising program that supports the Canadian Breast Cancer Foundation. 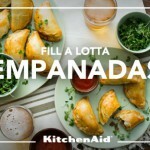 For every party that is registered (you can register your party here), KitchenAid will contribute $50 to Canadian Breast Cancer Foundation. Now I love a themed party, and a “Pink Party” was the inspiration behind this one. 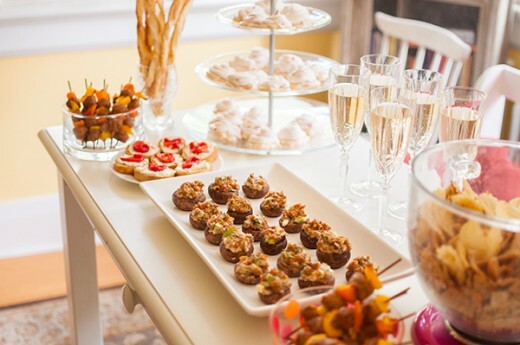 I’ve put together my top three entertaining tips so you can host your own party with ease. I’ve learned that having a theme makes planning the menu and drinks much easier. For a breast cancer awareness party, the natural theme was a “Pink Party” so this helped me plan my menu and décor with pink-inspired dishes and decorations. It can also be helpful in setting a dress code. When entertaining, it’s important to remember that the evening should be fun, and you shouldn’t be spending all your time in the kitchen. 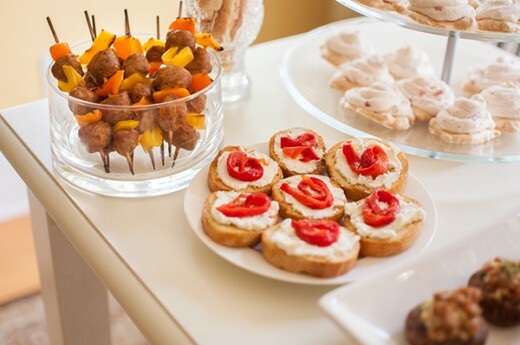 That’s why I opted for simple hors d’hoeuvres to feed a crowd. Many of these dishes were things I could prepare the day before, and set out on the buffet table, leaving myself relaxed and ready to go on the night of the party. The real show stopper on the table was the dessert, using the KitchenAid® Stand Mixer (Raspberry Ice for Canadian Breast Cancer Foundation) I made lemon meringues with strawberry whipped cream. 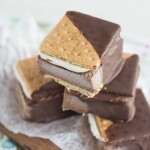 This is a great dessert because it’s bite sized, and the best part is that the meringues and whipped cream can be made days in advance. All that is required day-of is a little assembly! 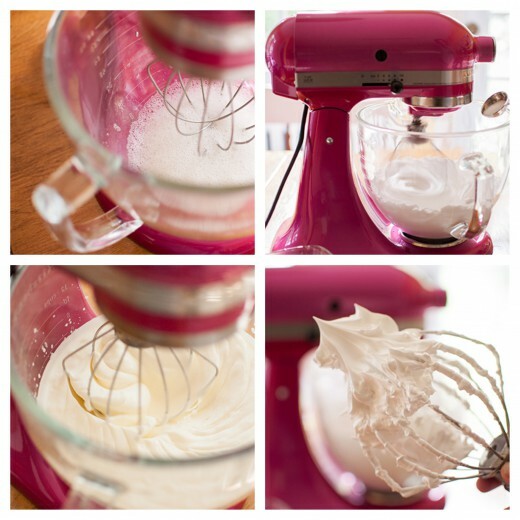 The Raspberry Ice KitchenAid Stand Mixer is pretty integral to this recipe as the real secret to a show-stopping meringue comes from beating the egg whites. Now this stand mixer is not only beautiful, but KitchenAid contributes $75 from the sale of every Raspberry Ice Architect Stand Mixer to the Canadian Breast Cancer Foundation. Preheat oven to 250C. Line two large baking sheets with parchment paper. In the bowl of a stand mixer, beat egg whites and cream of tartar at medium-high speed until the egg whites are foamy. At medium-high speed, gradually beat in sugar, 1 tbsp at a time. For about 7-9 minutes or until stiff peaks form. 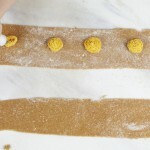 Using a 1 tbsp cookie scoop or spoon, spoon mixture onto baking sheet. 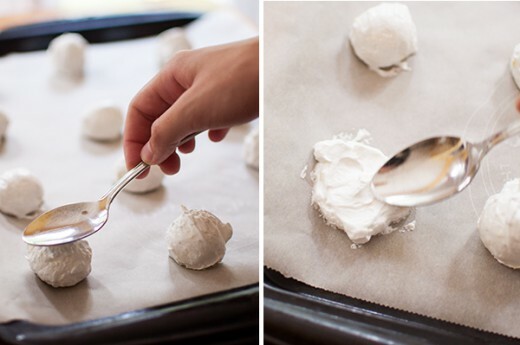 Using the back of a spoon, swirl and flatten meringues. Bake for 2 hours, halfway though cooking time, rotate and switch the pans. 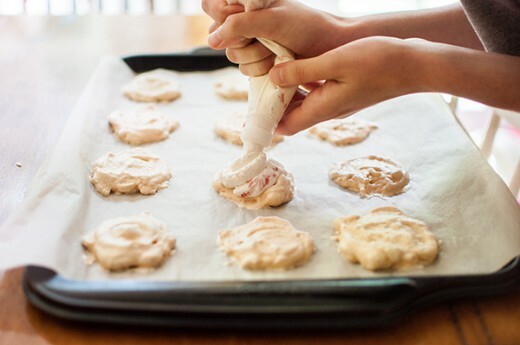 Once cooking time is done, turn off oven and let the meringues dry out for 30 minutes. 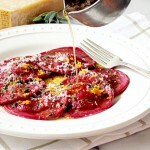 Remove from oven and let cool on a rack. Store in an airtight container. 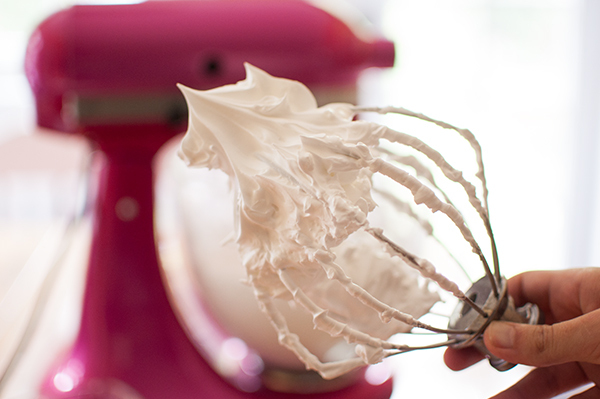 In the bowl of a stand mixer, beat whipping cream until soft peaks form, about 5 minutes. Gradually add in 2 tbsp of sugar. Meanwhile, using a pastry cutter mash strawberries until strawberries are in tiny pieces. 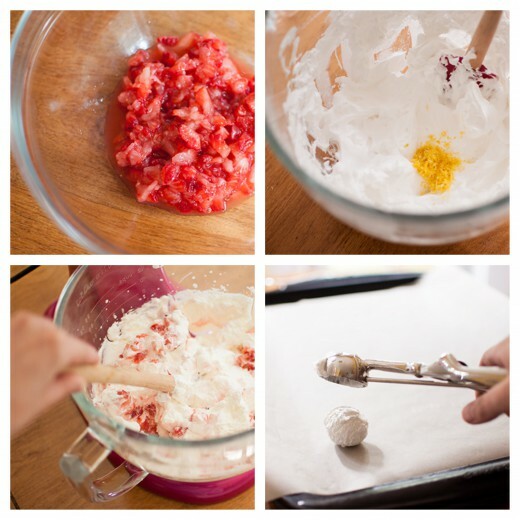 Fold strawberry mixture into whipped cream. Store in an airtight container. Just before your guests are arriving, spoon or pipe strawberry whipped cream on top of lemon meringues.